Soon to be married? Congratulations! Now is time to tackle the wedding preparations! Dress, hair, cake, guests, location, everything can seem so stressful! 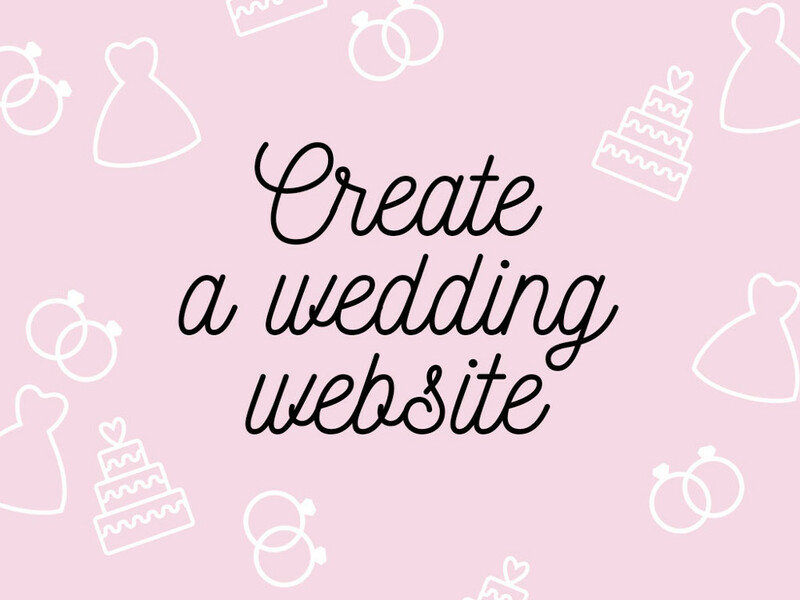 Luckily, WebSelf comes in handy with tips on how to create a wedding website that will capture the essence of your love without breaking the bank! A wedding website has become a very common way to share to your guests important information about the wedding, the proposal or the story of how you met. A website is also an all-in-one tool to make your guests contribute to a small gift, to confirm their attendance at the wedding, write you some encouraging words, and much more! 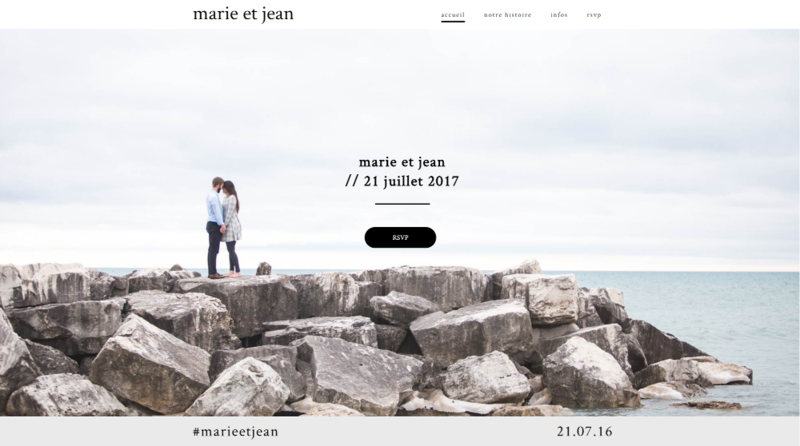 First step in creating a wedding website? Choosing a design, of course! 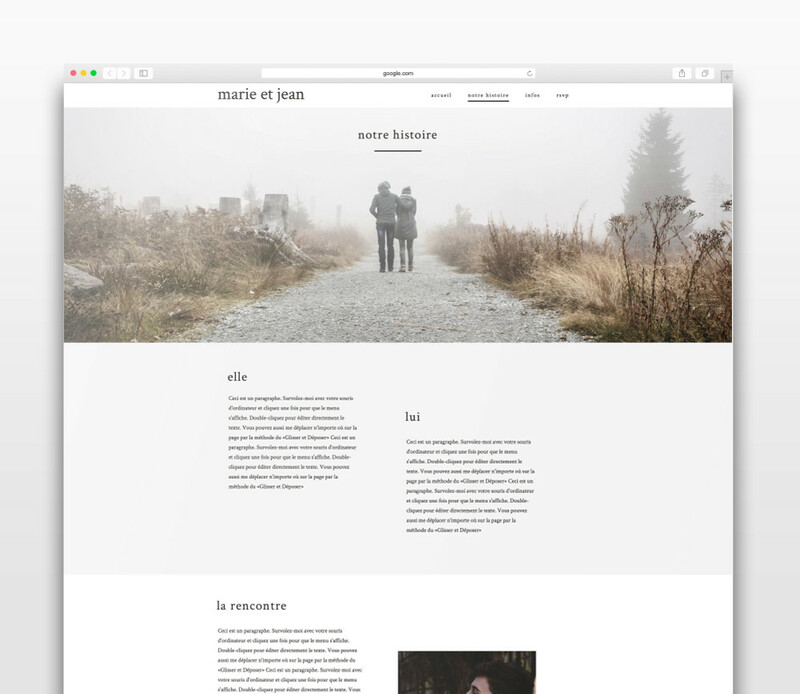 While WebSelf offers some gorgeous wedding templates options, we remind you that you can choose any template and adapt it to your needs! You have a specific idea in mind of what your website should look like? Why not start with a blank template and simply add your own photos and text! Although some of you refuse to admit it, everyone loves a beautiful love story. Take this opportunity to tell your own using your creativity. Perhaps write two versions, from the perspective of each of you or describe the perfect proposal! Your guests will be so charmed by these beautiful stories they will definitely want to be a part of the celebration! Even if you can’t add images of the ceremony before the big day (obviously), why not put some pretty pictures of your couple, or of the proposal! When the wedding pictures are ready, you can add them to your site for perfect memories of such a perfect day. To make sure you have the most beautiful photos, we have a blog post on 6 tools for beautiful pictures for your website. People who call you the day before the wedding to get information about the event? No thanks! Your website is the perfect way to reveal to your guests ceremony details such as the location, the time, the dress code, gifts, etc. You can also add nearby lodging or restaurants information for guests who are traveling for your big day! You have without a doubt heard (or seen) the hashtags trend for weddings on social media! #Marie&Pierre #SmithpartyOfTwo #SmithWedding, the options are endless! Use these hashtags to find photos of your wedding and to promote the big day on social networks. 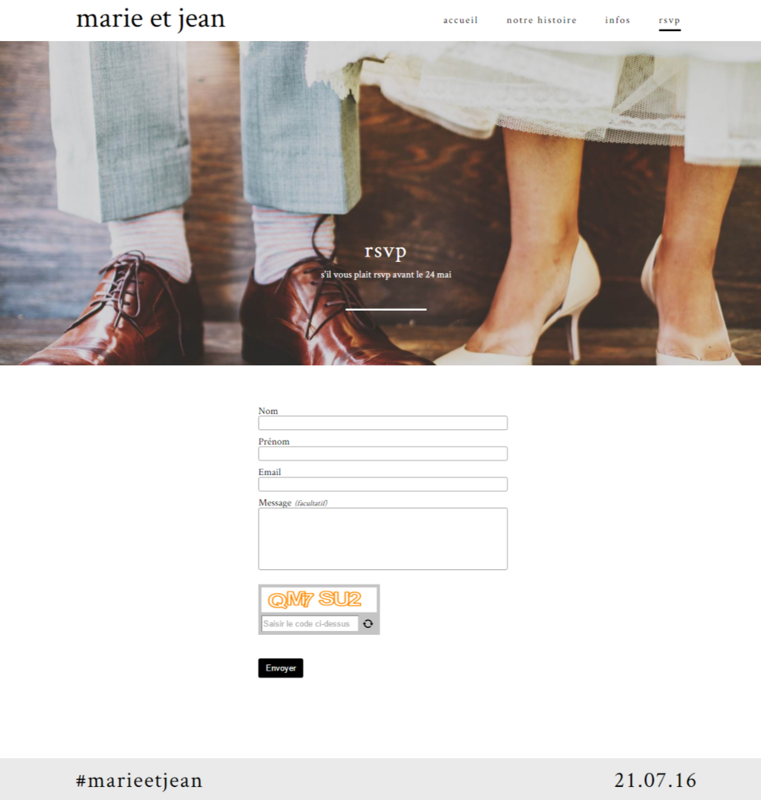 A contact page on your wedding website is practically mandatory. You can use it to let your guests RSVP without having to send back the invitation. It is also through this page that people can contact you with questions, comments, or words of encouragement! You don’t want to share your story or the details of the big day with everyone on the web? Protect certain pages of your website with a password that you can give only to your family, friends, and guests. Visit WebSelf to start creating your beautiful wedding website!